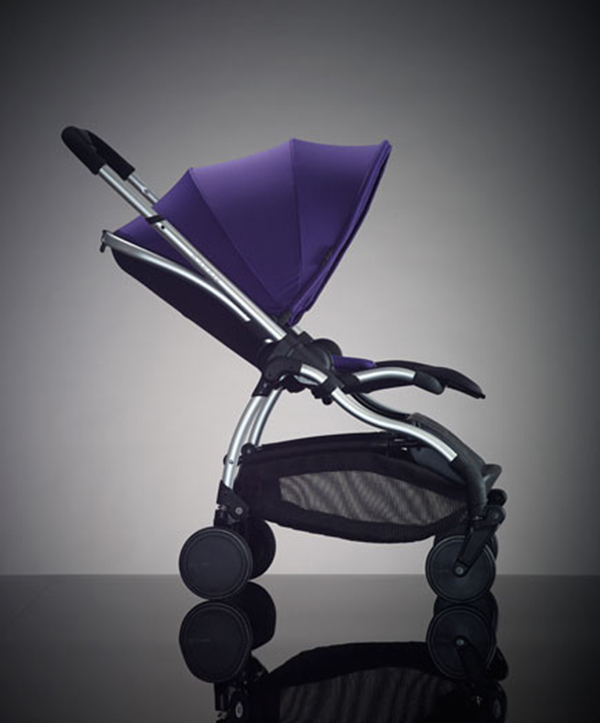 City dwellers, your hunt for a stylish, small pram is over. Perfect for hopping on and off the train, grabbing a quick chai at your crowded local cafe, and for fitting into the narrow boot of your runabout car, iCandy’s Raspberry pram is built to be compact and light for small living. And did we mention pretty? Because it sure is pretty. 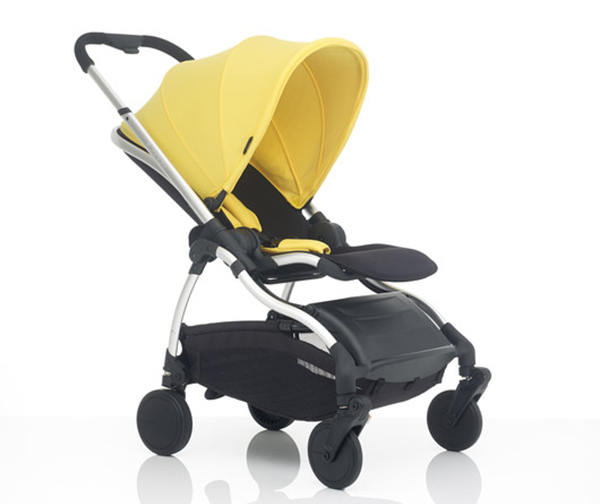 The design is sleek and restrained with a brushed aluminium frame, black body and a pop of colour in the sun hood and harness pads which are sold separately. There are seven lovely colours to choose from: pick Sunflower for a sunshiney mood, Wisteria if you’re looking for something more elegant, or neutral Beetle to set off a brightly patterned nappy bag. The Raspberry comes with loads of other accessories like a cup holder, a cosy newborn pod, and a quilted footmuff to ward off the cold, so you’ll be kitted out for a full day on the town with baby. At 8.4kg, it’s super light weight, but it’s no lightweight – it’s got a 25kg seat limit. Of course when the kids are 25kg we hope we’re not still pushing them around in a pram, but just in case we are, the Raspberry can handle it. The ride is super smooth thanks to independent four wheel suspension, and because the seat can lie completely flat, this pram is great for newborns. Small space dwellers will love the Raspberry for its excellent storage chops. It folds up small with the seat separated from the chassis or in place, and the seat unit is designed to fold like a clam to protect the fabric from muddy wheels. We adore a smart design. There’s a large basket under the pram, open for easy access, and a closed storage capsule at the front for special cargo. With turn-on-a-dime maneuverability, a slender design and a seriously robust little frame, iCandy’s Raspberry ($899) will have you sorted for an exceptional pram from newborn to toddlerhood and beyond. 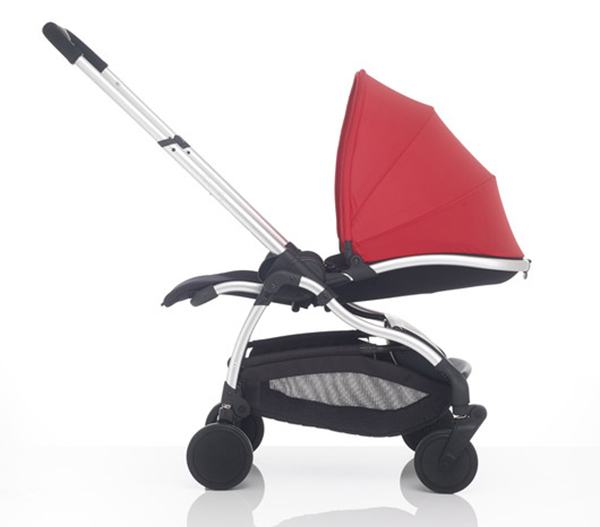 You can find the iCandy Raspberry at Baby Bunting stores nationally.